A Minnesota man who is a fan of .300 Blackout came up with a purpose-built bolt-action straight-pull pistol in that caliber that weighs as much as a 1911. 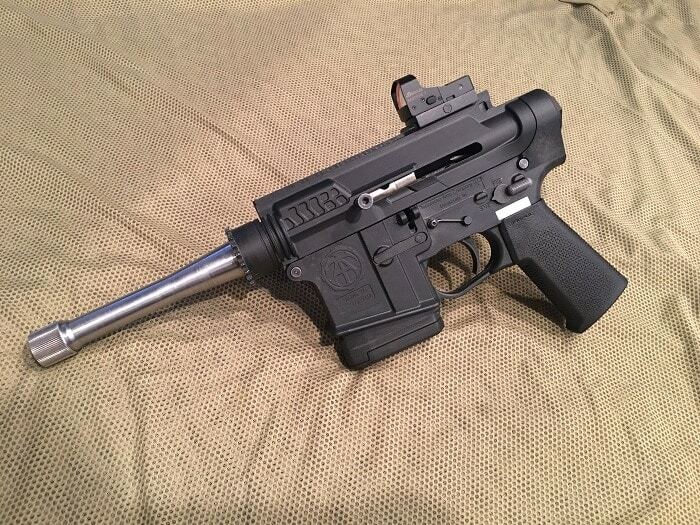 Elijah Duray of Eagan talked to Guns.com about his build, which he calls the 300 Solo (you have to admit it does resemble a certain blaster carried on the Kessel Run), which is not just any old AR pistol. 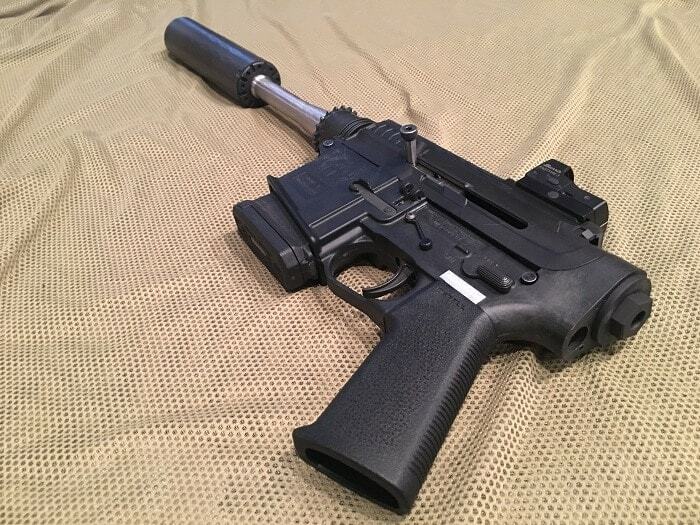 To eliminate the action noise while trimming weight and parts, the AR-framed handgun uses a hybrid polymer lower and upper (with metal inserts) and, rather than being semi-auto, is manually-operated. 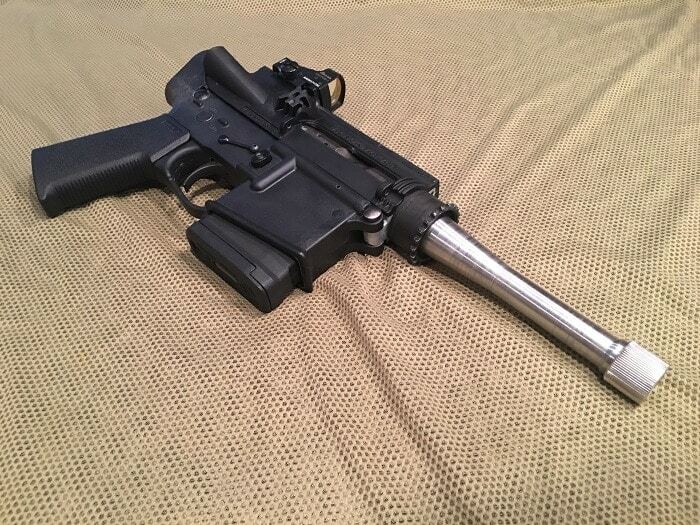 Without the need for a regular BCG, he says he uses one that is basically cut in half and drilled and tapped for the left-side charging handle. 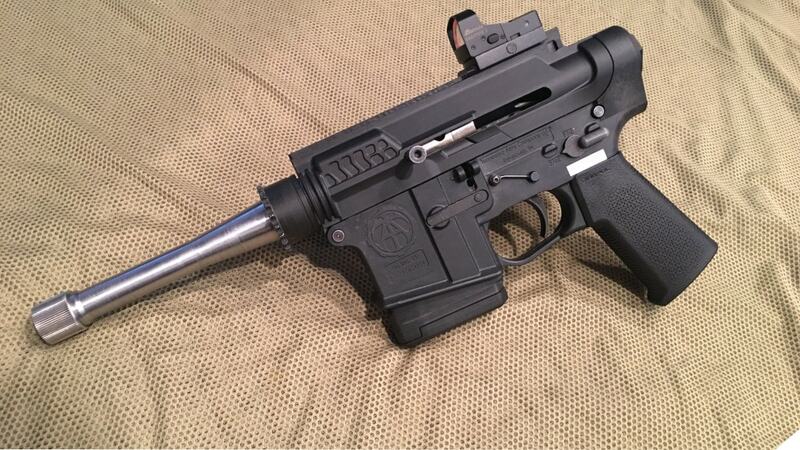 At the same time, he still has all of the modularity of a standard AR when it comes to triggers, parts, magazines, etc. “I like to think of it as a Thompson-Center Contender that costs half as much, weighs a third as much, holds 10-shots and reloads at the flick of a wrist,” he said. The Solo cost Duray just a few hundred bucks to make and he can use hand loads with bullets from 60-grains up to 265 with a very subtle sound signature when fitted with a screw-on can and minimal recoil. Weight is about 38-ounces. Duray said he plans to use it for deer, as state regs allow handguns but not rifles in his area.